Two Johns Hopkins University professors, Aravinda Chakravarti and Donald Geman, are among 84 new members elected to the National Academy of Sciences, an honorary society that advises the government on scientific matters. 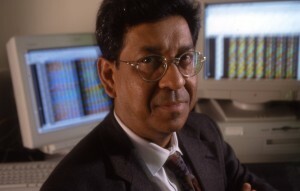 Chakravarti is being recognized for his contributions to the field of genomics; Geman, for his achievements in statistics, image analysis, and machine learning. They will be inducted at the academy’s annual meeting next spring. Chakravarti is a professor of medicine, pediatrics, molecular biology and genetics, and biostatistics at the Johns Hopkins University School of Medicine’s Institute for Genetic Medicine and the Bloomberg School of Public Health. His research team is deepening our understanding of human genetics so that therapeutic approaches can be better individualized to patients. His team uses experimental and computational analysis of genetic information to understand the basis of complex human diseases, both rare and common, such as Hirschsprung’s disease, autism, hypertension, and sudden cardiac death. These disorders run in families, and they arise through a combination of genetic factors, environmental/lifestyle factors, and chance. They all involve variations in many genes and are therefore much more difficult to study than diseases caused by single-gene mutations. Chakravarti has been at Johns Hopkins since 2000. He received his Ph.D. in human genetics in 1979 from the University of Texas, Houston, and was on faculty at the University of Pittsburgh and Case Western Reserve University prior to coming to Johns Hopkins. He was the inaugural director and Henry J. Knott Professor of the McKusick-Nathans Institute of Genetic Medicine at Johns Hopkins from 2000 to 2007. He has been instrumental in designing and contributing to the Human Genome Project, the International HapMap Project, and the 1000 Genomes Project. He is also a member of the National Academy of Science’s Institute of Medicine, an Honorary Fellow of the Indian Academy of Sciences and a member of the American Association for the Advancement of Science. Geman is a professor of applied mathematics and statistics at the Johns Hopkins University Whiting School of Engineering, which he joined in 2001. He also holds faculty appointments within the university’s Institute for Computational Medicine and Center for Imaging Science. 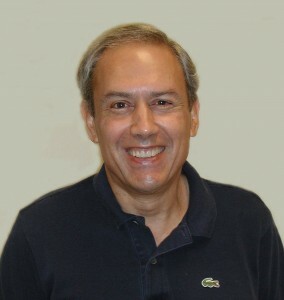 Before joining the Johns Hopkins faculty, he held the position of Distinguished Professor in the Department of Mathematics and Statistics at the University of Massachusetts. He earned a B.A. in English literature from the University of Illinois and a Ph.D. in mathematics from Northwestern University. Geman develops computational methods for solving multidimensional, complex problems in machine learning. His research group is trying to teach computers how to interpret images the way humans do in terms of identifying common objects, human activities, and interactions—a major goal of artificial intelligence. The group is also developing computer programs that analyze large amounts of biological and clinical data to discover new biomarkers for diagnosing cancer and new formulas for predicting a patient’s prognosis and response to treatment. Johns Hopkins University news releases are available online, as is information for reporters. Find more Johns Hopkins stories on the Hub.